We’ve all heard of Michael Phelps, the young swimmer who has won 23 Olympic gold medals. Well, it appears he is now getting out of the water in an all-out effort to protect water, which is our most valuable resource. Phelps has begun working with Colgate-Palmolive, the mega toothpaste company, promoting its Every Drop Counts initiative. According to Phelps, we use up to eight gallons of water every day just brushing our teeth because most people leave the water running. If we all turn off the water while brushing, we can cut that amount down to just a fraction of water. And, the Every Drop Counts program (#EveryDropCounts) seems to be working. According to the company, nearly 322,000 people so far have pledged to turn off the water while brushing their teeth. Together, they are saving more than 2.5 million gallons of water every day. The company believes that if every American family joined in, 10 trillion glasses of water would be saved every year. These numbers got us thinking. So, we put our heads together to see if we could determine how many glasses of water three waterless urinals—the average number of urinals in an office men’s restroom—can save on an annual basis. We know that one glass of water is about eight ounces and one gallon equals 128 ounces. We also know that a waterless urinal saves approximately 30,000 gallons of water per year, which would be the equivalent of 480,000 glasses of water. Further, it is estimated that there are probably 10 million urinals installed in the U.S.
Now, let’s assume eight million of these urinals use about two gallons of water per flush and are flushed five times per day. One water-using urinal uses 16 glasses of water per flush. Flushed five times per day amounts to 80 glasses of water. Because there are three urinals in our scenario, 240 glasses of water are needed each day just to flush urine down the drain in this restroom. Now, let’s multiply that by eight million water-using urinals flushed five times per day; this amounts to 192 million glasses of water per day. This amounts to more than 4.224 billion glasses of water per month, assuming 22 work days per month. On an annual basis, this totals more than 1.09 trillion glasses of water per year. This means we are using 1.09 trillion glasses of water—just in the U.S.—to flush urinals. If just one million more waterless urinals were installed in the U.S., we could reduce this amount by 1.3 billion gallons of water per year. While Phelps is doing a great job helping us reduce water consumption, in many ways it is (excuse the pun) just a drop in the bucket. What we need is another celebrity promoting the savings that can be derived when transferring from water-using to no-water urinals. If one million more waterless urinals were installed in the U.S., and we could save 4 trillion gallons of water per year… now that is real water savings. 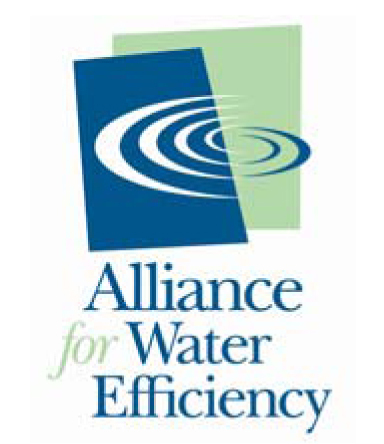 For more information on water saving technologies, Waterless urinals, and ways to become more water efficient, contact a Waterless Co representative.